You see, with so many choices available to us, sometimes it seems that we forget who you are. What you seek in a new snowmobile. Fortunately, here in the 21st century there are no bad choices anymore. In the 1970s there were some real stinkers that didn’t make it into the 1980s. While we could say that those stinkers came from underfunded long ago snowmobile makers, not all did. Ski-Doo offered some truly uninspired models that refused to enter the world of slide suspensions, Mikuni carbs and engines off the main tunnel. And those pogo-sticked Stratos front ends? What were they thinking? Sorry, Polaris, the Fusion wasn’t your best hour, but at least you have recovered impressively well, even bringing back the iconic Indy name in a truly fun-to-ride design. John Deere built bridge busters before settling in on the low slung, lightweight Liquifire-styled models. Fan-cooled two-strokes like Arctic Cat’s 570 twin are light in weight, less complicated than a four-stroke and provide great dollar value as the power source for “base” models. Today’s sleds offer great choices for every riding style. We’re going to peek at some fun choices for you to consider this season as snowmobile dealerships from coast to coast begin inviting you to their open houses. They will showcase the latest and greatest, but we’re going to look at some alternatives to the obvious. We’ve been predicting the extinction of the fan-cooled two-stroke engine since the mid-2000s. That explains why one of our favorite personal sleds is 2006 Ski-Doo MXZ 550 with the bumblebee graphics. Well, to our surprise that same Rotax 550 twin stills powers modern day Ski-Doos. 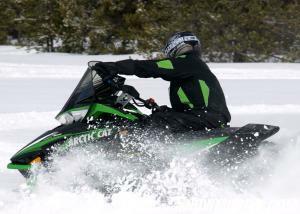 Likewise you’ll find fan-cooled 500cc-plus two-strokes in select “cost” sleds from Arctic Cat and Polaris. 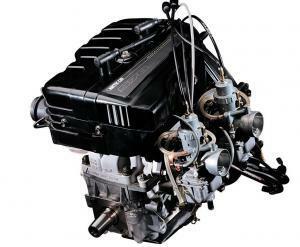 While the displacement may vary, all three engine models offer upwards of 60-horsepower, utilize dual slide carburetors and face extinction because they don’t burn “green.” To get their emissions into compliance would cost way more than investing in a new design, most likely four-stroke. That’s what Ski-Doo did and it’s why you have the 600 ACE twin as alternative power to most of the models still featuring the 550 fan. Four-stroke engines will replace fan-cooled 550s engines in future performance models like the “base” F1100 Arctic Cat. In our current political climate of everything must be “green,” the fan-cooleds have no future. Because they are air-cooled the internal make up requires room for metal expansion from cold startup to mile long full throttle runs. That’s why they clatter and why they’re noisy. We seriously doubt that fan-cooled engines, owing to the low volume sold, truly pose a serious environmental hazard. But tell that to the EPA! 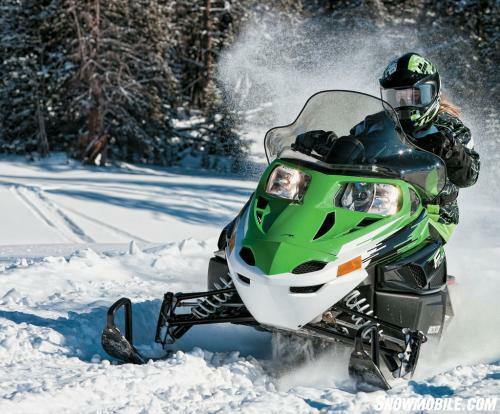 Regardless of today’s realities, if you are looking for a snowmobile that can provide great fun for many seasons to come, you should look at some of the fan-cooled options. In the trail sports categories, many of the fan-cooled engines get tucked under the hoods of some very fun-to-ride models. We have a fan-cooled Ski-Doo MXZ. The newest ones are better than ours and have very good features, not to mention great ergonomics. The Rotax 550 fan-cooled even powers the baseline off- and on-trail stretch track Renegade Sport. Polaris offers short or stretch track Shift models. 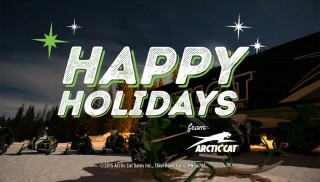 Arctic Cat’s F570 remains a fun ride as well. Arctic Cat’s F570 makes a fun choice based on value per mile. All of these models offer low pricing, ride-forward ergonomics, suitable suspension components and relatively light in weight handling since the air-cooled engines forgo all that requisite liquid-cooling plumbing. Plus, we find these sleds great fun on tight trails as they have front ends similar to the best sport designs of their makers’ high performance trail models. 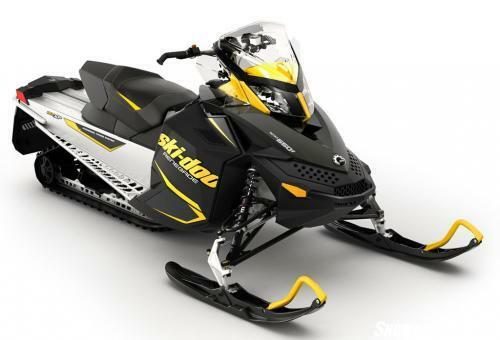 If you want a bit more luxury, check out the two-up base models like Ski-Doo’s Grand Touring Sport, complete with ride-forward platform, electronic reverse, rear storage area and more. Polaris’ 550 powers the US$7,399 base priced 2013 550 IQ LXT, which also includes hood-mounted rearview mirrors and full cargo rack. Arctic Cat puts its 570cc fan-cooled two-stroke in the T570 touring model that features a removable passenger seat, hydraulic disc brake for added safe operation and wind-cheating tall windshield. 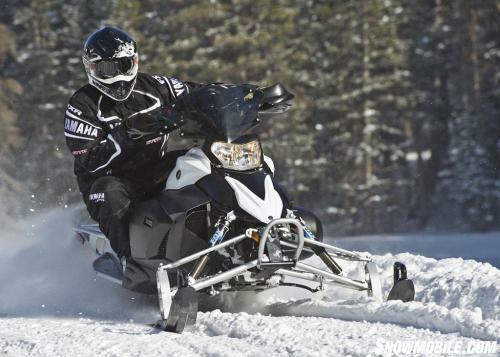 A Fuji-sourced 550cc two-stroke powers Polaris “cost” sleds like the two passenger 550 IQ LXT. If you do visit a Ski-Doo dealership, note how the fan-cooled two-stroke past is being overtaken by the liquid-cooled four-stroke present. Most of the same Ski-Doo models that offer the fan-cooled engines, also offer the 600 ACE four-stroke as an option. There’s a premium, of course, since the four-stroke is more expensive and complicated to manufacture and will add weight to accommodate the required liquid-cooling add-ons. The fan-cooled MXZ Sport 550 fan carries a suggested price of US$6,549 versus US$7,899 for the same model with the 600 ACE four-stroke. Interestingly the addition of the carbureted non-ETEC Rotax 600cc two-stroke adds just US$450 to the base price. Of course, we fully expect that the “dirty” carbureted 600 will disappear along with the fan-cooled twin. All of this being said, these are very good value choices for fun riding. They all have excellent base platforms with suspensions patterned after the best designs in each manufacturer’s line. One of the most buys for 2013, the Ski-Doo Renegade Sport 550F offers lightweight, reliable power complete with all the benefits of the REV-based platforms and modern suspensions. If you want to move up a notch, as noted with the Ski-Doo lineup, there are liquid-cooled options in the MXZ and GSX solo touring lines. Polaris’ new Indy series gives you a virtual Rush, sans the Pro-Ride rear suspension but a top line Cleanfire 600cc two-stroke powerplant. Arctic Cat’s F and XF “base” models with the non-turbo version of the Suzuki-built four-stroke is great fun in flatland country. Moving over to four-strokes invites the one totally committed four-stroke player, Yamaha, to show you what it has for solid choices. 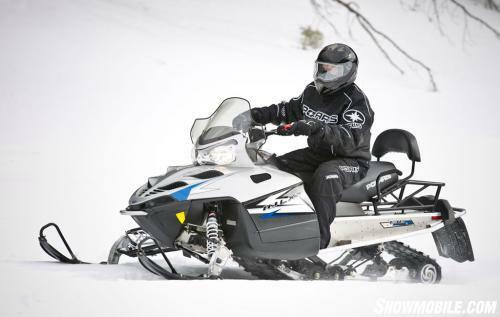 Yamaha’s Phazer series with its base 80 hp 500cc twin cylinder four-stroke powers a variety of models from the rough trail banging Phazer RTX to the multi-purpose Venture MP with deep snow capability and two-up accommodations. And, of course, Yamaha’s Vector with the fuel-injected triple and electric power steering may be one of the best all time buys in snowmobiling. It’s a sporty sled to ride, has great value retention, superior ergonomics and long-term dependability. Committed to the four-stroke world of power, Yamaha competes in the “value choice” segments with lightweight Phazer models powered by an 80-hp 500cc twin. Now, as we said in the beginning, while these may not be the sleds we’d put first on our “must have” list, they are all solid choices for long term riding enjoyment. If you like to ride, these sleds deserve consideration for their value, durability and satisfying ergonomics.